In a previous post I spoke about weakened immune systems and its susceptibility to disease. A friend told me about a natural food supplement called BioBran MGN-3 which is made from rice bran and Shitake mushroom enzymes. This supplement has been shown to significantly stimulate the activity of the immune system without any side effects. The T, B and NK(natural killer) cells are all part of the immune system. Research has shown that NK cell activity is increased by more than 300% in people taking MGN-3. B-cell activity is increased by more than 250% and T cell activity by 200%. NK cell activity is essential because these cells specifically target many types of cancer. The blood of cancer patients typically has less than half the NK cell activity of a healthy individual and often even less if conventional treatments such as chemotherapy and radiotherapy have weakened the immune system. There are many studies to support the claim that BioBran MGN-3 is one of the most effective and safe immunomodulators available, and the number of studies are increasing every year. Although it is not a cancer treatment, many of the integrated doctors recommend it as part of their anti-cancer regime. Recent research has also examined BioBran´s role in reducing the side effects of chemotherapy such as tiredness, nausea and weight loss – symptoms which severely reduce quality of life. The Biobran dosage requirements are as follows: Dosages vary from 500mg a day (half a sachet or 2 tablets) right up to 3000mg a day (3 sachets or 12 tablets) or more for a standard-weight adult. A fairly healthy adult, or someone with a mild cold or infection, would take 500mg a day for general immune protection and disease prevention. 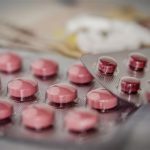 For more serious immune deficiencies or for faster recovery one would take 1 sachet a day (4 tablets or 15mg/kg/day), whilst for very serious immune deficiencies, such as those associated with cancer, one would take 3 sachets (12 tablets or 45mg/kg/day) a day for 2 months and then drop down to a maintenance dose of 1 sachet (4 tablets) thereafter. If, whilst on the maintenance dose, treatments like chemotherapy or radiotherapy are given, it is advisable to increase the amount again to the full 3 grams a day or more from a week before the treatment until a couple of weeks after. My Mom originally started using Biobran but since then she has expanded her immune boosting protocol to other supplements. My reason for sharing this with you is that this supplement was new to me and is worth considering. 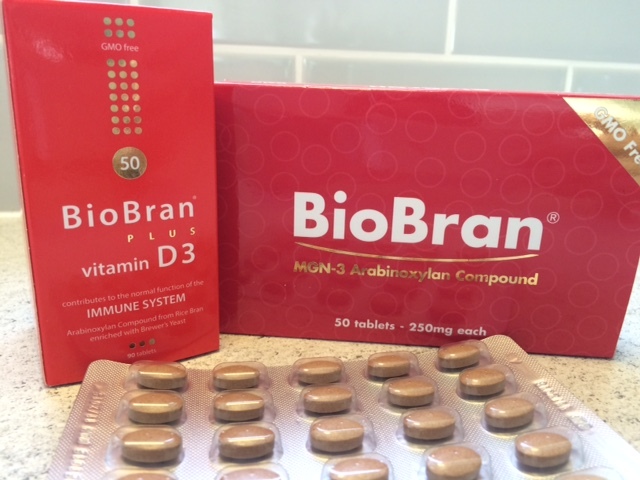 Biobran is seen to be a really excellent immune system booster and there is currently little to match BioBran MGN-3 in this area.